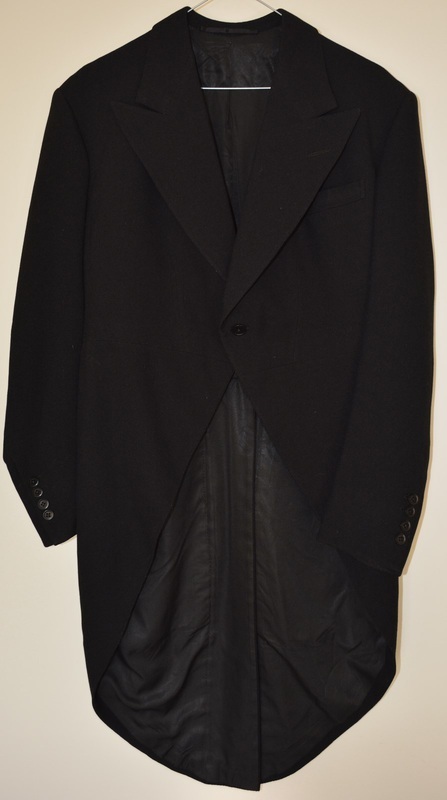 For1 RAF officer's black evening tailcoat, Savile Row tailor, issued 1947. For chest size 97. Sleeve length shoulder to cuff 61cm. Length front 61, back 107. Rental $35. Purchase $65. For2 RAF officer's pinstripe trousers, Savile Row tailor, issued 1947. Has buttons for braces. Waist 91, hip 106, inside leg 78cm. Rental $30. Purchase $45. 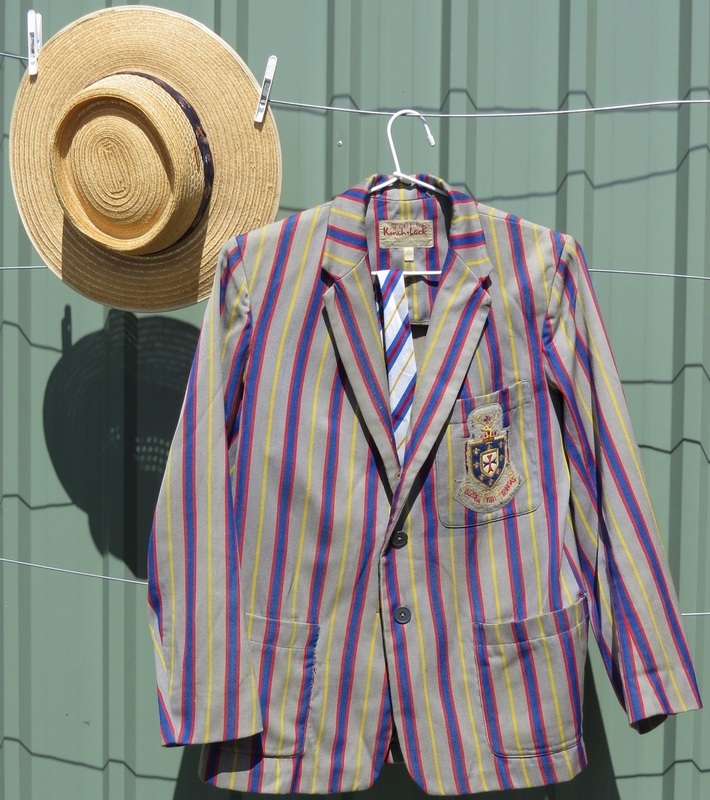 For4 All set for the Henley regatta - possibly Henley-on-Todd, as the straw boater is Akubra-made ( in 2000). Hatbands of different colours can be added. The blazer is much older, and is for a teen / slim man (modified from a girls' school blazer). Chest size 81cm (allows for wriggle room). The tie has matching stripes but has a white background. Rental of set $25, purchase of set $45.